Agrícola y Forestal el Álamo Ltda., is a fundamental pillar for the companies belonging to Grupo Fósforos, since its main objective is to supply them with high quality raw material. 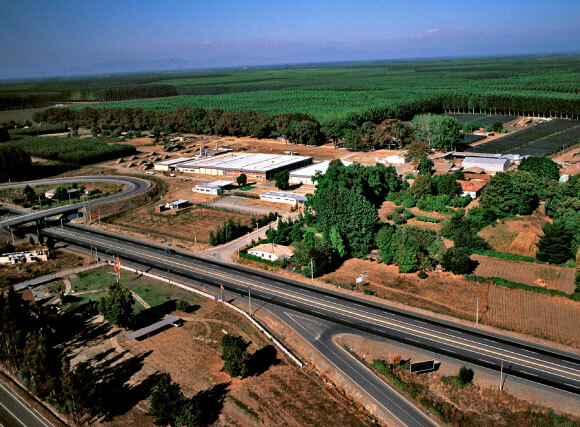 We have 3,200 hectares located in the VII Maule Region, where the work is done according to international certifications that guarantee all the activities carried out there are responsible toward the environment and its social surroundings. The company’s operations include the establishment, management and harvesting of forestry and agricultural plantations, within which it excels as the largest producer of poplar wood in the country, supplying to Compañía Chilena de Fósforos S.A. and Terciados y Elaboración de Maderas S.A., both companies belonging to Grupo Fósforos. From the poplar, thin rotary cut (or peeled) layers of white-colored and unblemished wood are obtained for the manufacture of matches, ice cream sticks and chopsticks, among other products. On the agricultural side, the company has plantations of blueberries, cherries, apples and grapevines that are marketed abroad through El Álamo Foods S.A., a company that also belongs to Grupo Fósforos.